We know that it’s not always possible, but we think that all things being equal…this is something we should all strive for. When it comes to explaining what we do, love barely covers it. The people at Keppoch love their community. But they also recognized that there was something missing. There was an opportunity to do more. There was an opportunity to build more than some bike trails. There was the opportunity to build a future for a rural community. When we began discussions with Keppoch it was easy to develop a clear vision for the project; “Use what we have, build what we don’t have, and bring it all together.” Every project is different and this one was… no different. Keppoch is about paying homage to the history of the mountain while helping write the next chapter. Keppoch was once a destination and we wanted to help them renew that concept. Everything at Keppoch (as it should be with every project) began with the question; what do we want to achieve. There’s no “template” that you can just apply to a mountain. Every location is so different and this has to work its way into your plans. We started by surveying the physical space we had to work with and talking about it in relation to the kinds of things that the team at Keppoch wanted to see. Out of that was born our first trail at Keppoch; Chicken Cougar. Chicken Cougar is a trail that winds through the woods like a bobsled track for beginner to intermediate riders and as soon as we were finished, people came. It’s not always true that if you build it they will come but with Chicken Cougar, this was true. From there we went on to work with the team on the next aspect of the project, the family friendly Kinsmen Pump Track located smack dab in front of the lodge. When you’ve got something that kids and adults alike love and something that can become a community friendly centrepiece for a destination like Keppoch, you don’t hide it. You put it in the spotlight. The vision was that eventually we would bring in a trail that would come right down in front of the hill, blurring the line between spectators and riders. 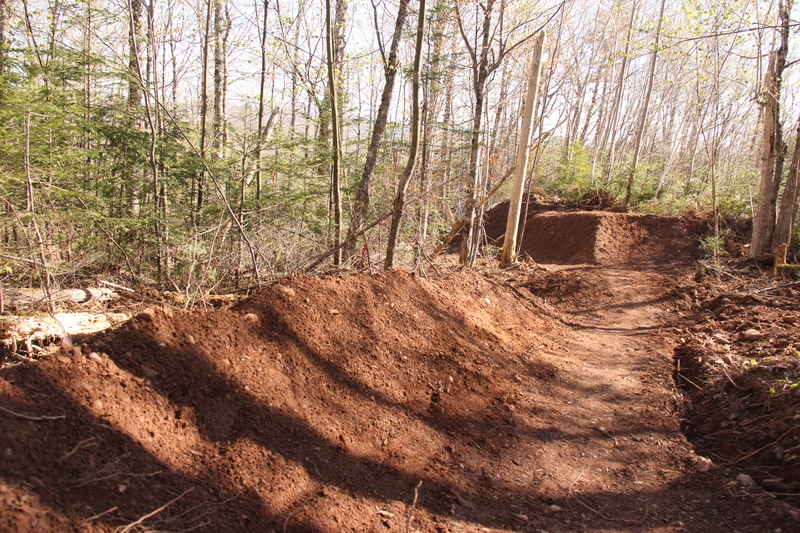 Building a destination trail system like Keppoch is not something you do in a weekend. Fast forward a couple of seasons and we came back in to install the next part of the project; two new trails with some fantastic features. 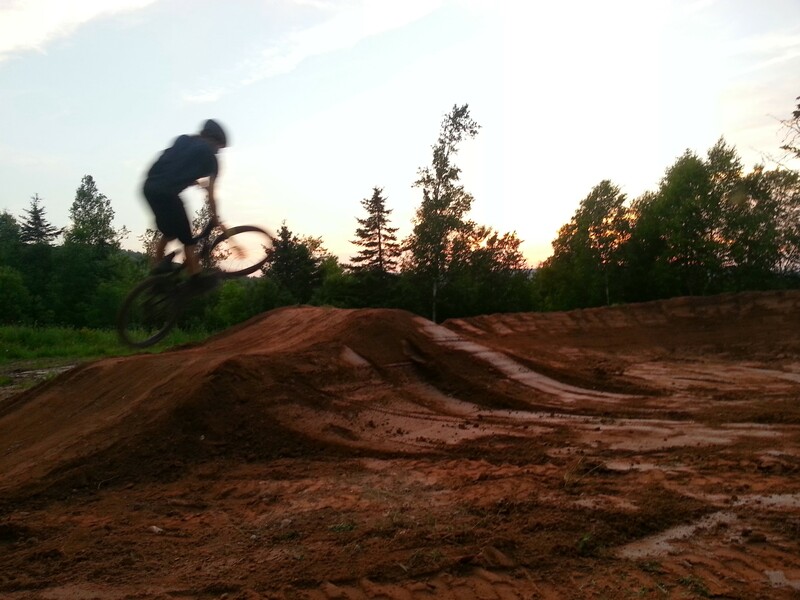 Jumps, rollers and berms were to be built in as part of the design of these trails. We wanted to take the next step taking a system of trails and features and turning them into something that felt like what it was; a bike park. That vision for a trail that came out right in front of the hill? That’s Switchcraft. With over 50 features, Switchcraft ties together several legacy trails into a cohesive ride for multiple lines and routes and safe merges throughout the hill. Then came the Jackson Bowl. 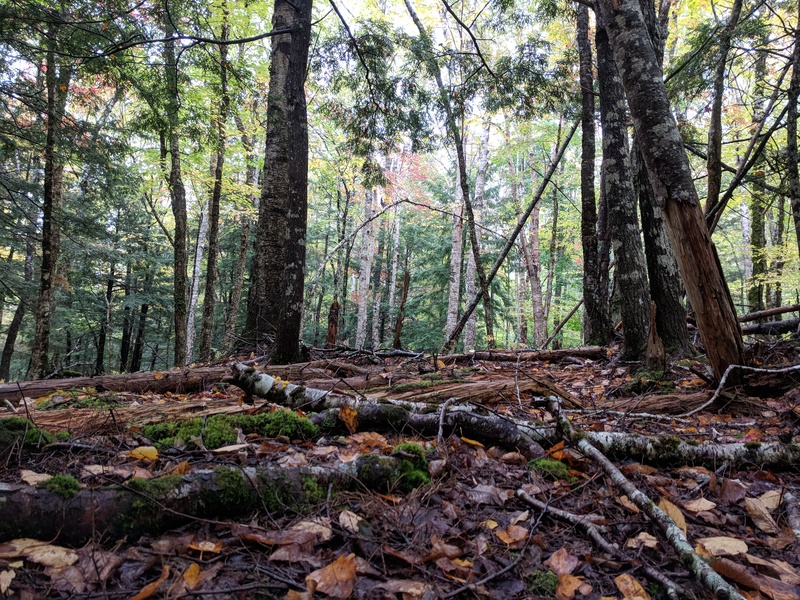 This trail brings that rider to the most spectacular sections of the hill, navigating a small rivulet for most of the year and launching them through a high speed run and various tree stands, and shooting them out into the new jump line we fabricated. The jump line is at the intersection of several trails, offering exciting options for the route back to the muster area. Keppoch was a dead ski hill in the middle of nowhere. No more. This didn’t happen by accident and we didn’t do it alone. 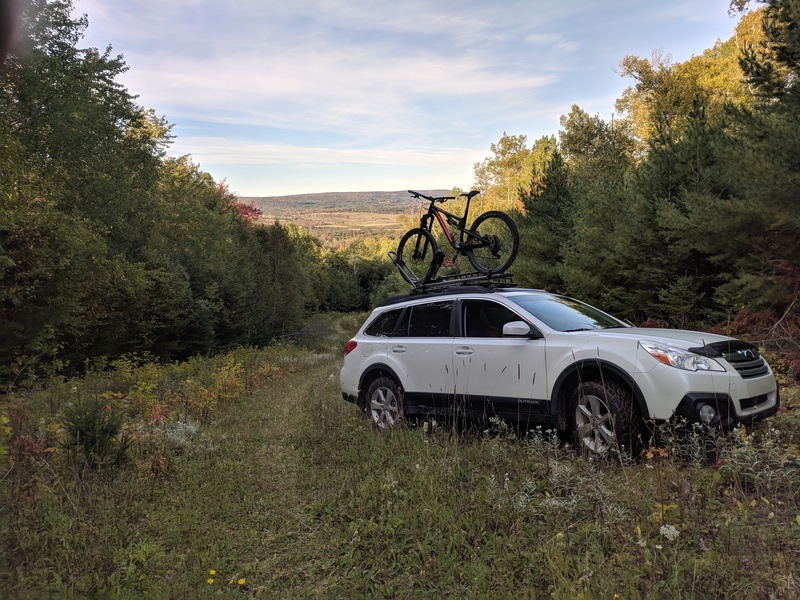 We worked with the community to develop and implement a shared vision of what a mountain biking destination in Nova Scotia could and should look like. The results have been astounding. 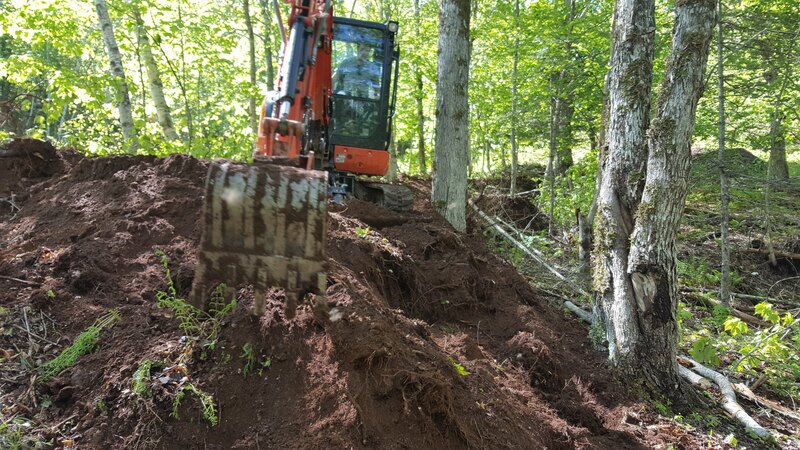 In addition to the bike park providing a reason to make your way to Keppoch virtually year round, they’re now building on that success to implement some winter features for snowboarders. Building a bike park doesn’t just give people a place to pedal. It gives families a place to vacation. It gives a tourist a place to mark on a map. It gives events a place to live. We take unused, underused and misused spaces and we put a pin on them. We give Google Maps a reason to know that a community exists. We give vendors a reason to load up their trucks and we give bike shops a reason to keep stock levels up. We give newspapers and magazines reasons to send a reporter out into the woods. We do it by involving the community and by creating something together. We don’t just build bike parks. We build relationships and those relationships build the rest. So…You Wanna Build a Bike Park. We’d love to help. It all begins with a conversation.